Who doesn't love a good pair of leggings? They're the perfect garment for layering, relaxing and getting active! We all have a favorite pair that fits better than all the rest. 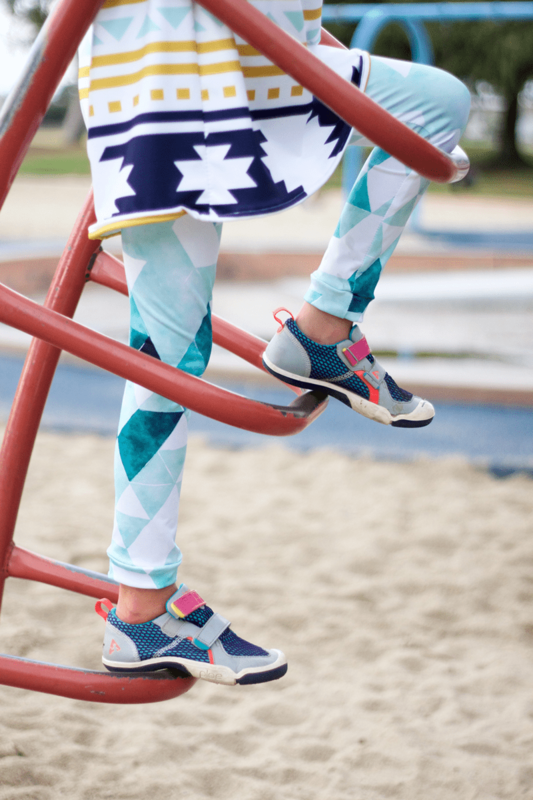 Today, Emma Jeffery, creative sewist + maker behind Hello Beautiful, visits the blog to share how she replicated her daughter's favorite pair of leggings using a funky design printed on Sport Lycra! 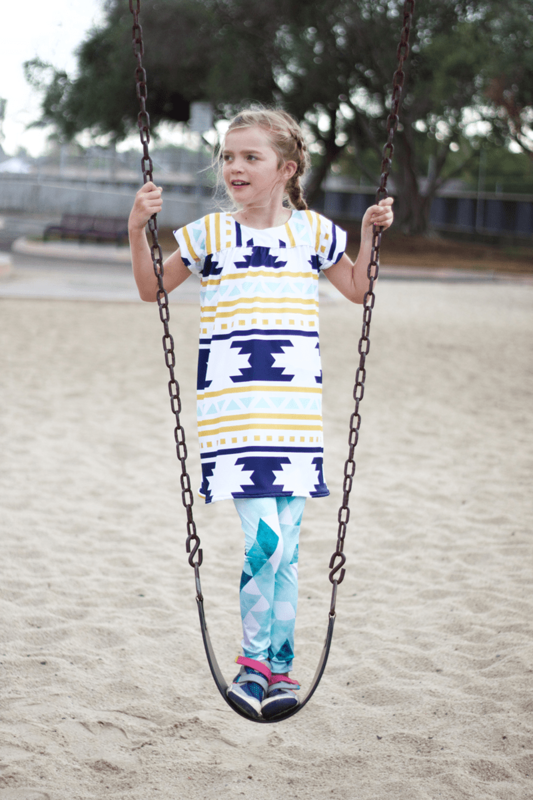 Leggings are a wardrobe staple for my daughter–pulling on and off with no buttons, zippers or other annoying closures. They are every girls’ must-have and with Spoonflower’s new Sport Lycra fabric, I can sew up some extra fun pairs for her dance/play/sports activities. 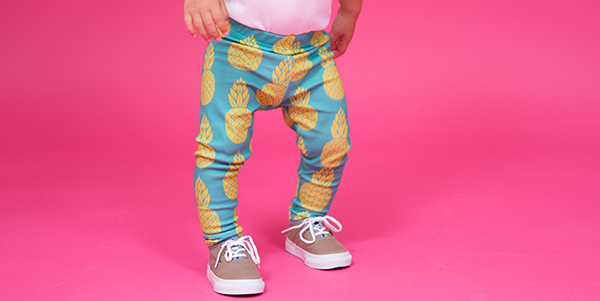 These leggings will take about 30 mins to make and you don’t need a pattern. 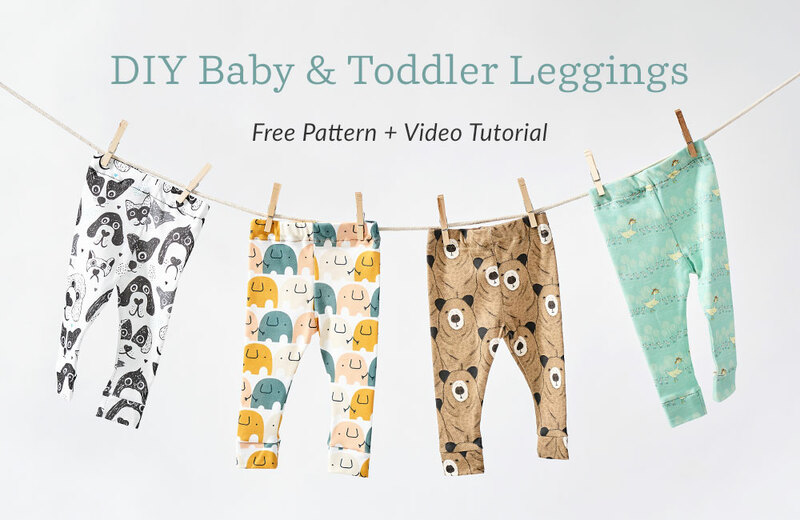 All you need is a pair of existing leggings that you like the fit of, and you can make these using the same method, for adults and children alike.